Splenda has now morphed into it’s alias, the generic term sucralose, now a popular substitute for the name Splenda due to the chlorine chemical in Splenda being exposed to a now wiser public. The last controversial sweetener, Aspartame was changed from Nutrisweet for that same reason. And now we know how horrific that one is. 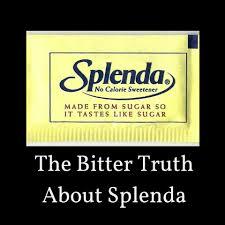 That’s why the makers of Splenda are fully aware of the public reaction to their products and anticipate even the next change if necessary; hence the newer ‘Splenda Essentials’, which had a class action lawsuit filed in California in 2012 against it claiming it had no health benefits whatsoever, adding only trace amounts of nutrients. That is just one among many lawsuits. Still, most are unaware that sucralose IS Splenda, because on more and more packages you will only see ‘sucralose’ (small s), assuming it is just another name for sugar, right? That’s the idea. 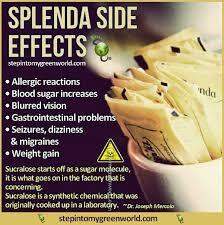 Splenda is produced through artificially substituting three hydroxyl groups (hydrogen + oxygen) with three chlorine atoms in the sugar (sucrose) molecule. Natural sugar is a hydrocarbon built around 12 carbon atoms. When transformed into Splenda, it becomes a chlorocarbon, forming a covalent bond in the same familly as deadly pesticides like DDT, insecticides, biocides, disinfectants like Chlorox Bleach, and a WWI poison gas. What do you get when you add maltodextrin and dextrose to Splenda? Added carbs and real sugar. They are added to every packet of Splenda. We do know that new studies at Washington University School of Medicine in St. Louis published in the journal Diabetes Care found that sucralose has effects on the body’s responses to sugar (glucose), which could thereby heighten diabetes risk even though in fact it has zero calories. Remember, it is an artificial sweetener. What is the artificial part again? This is a significant finding, especially for diabetics, as most are encouraged to use Splenda, not suspecting that their rise in sugar may be coming from this product. In 1976, when British scientists were seeking a new pesticide formulation, they developed this synthetic compound. A young chemist ‘accidentally’ tasted his new insecticide, found it was sweet, and the makers decided to go with sugar instead of insecticide. If you have children, you probably already have been exposed to the agreement between McNeil Nutritionals, a subsidiary of Johnson and Johnson, the makers of Spenda, and PTO Today, which provides marketing and fundraising aid to parents’ associations. 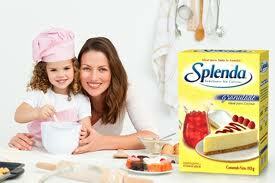 Your next bake sale may be sponsored by Splenda, complete with baked goods made with the product. They have insidiously convinced unsuspecting parents everywhere that this is so much healthier for their children. Sucralose is not a biologically inert compound according to some studies, having possible toxic effects, including a creation of dioxin-like compounds when heated. Yet sucralose is marketed as being suitable for baking purposes while no studies have been done. 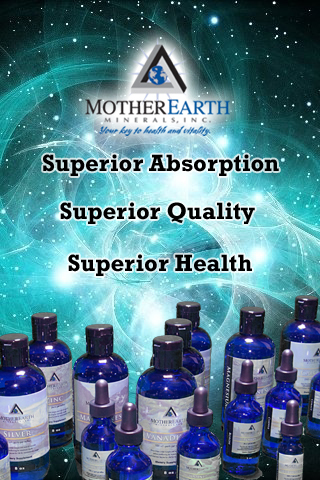 Do your children have side effects? Digestive issues? Need to see a doctor? Please connect the disastrous dots. The makers are a pharmaceutical company. When most of the testing is left to the food industry itself as the FDA does not require the same trials as pharmaceuticals, nor do they have a definition of ‘natural’, we are on our own. With all the many products now containing Spenda and calling it sucralose with a small s, we are in the process of a mass public experiment with what scientists are now calling ‘a mild mutagen‘. Most troubling is the inundating of our children with this poison under the guise of healthier baking when we know better. How sweet. Since sucralose is so covertly added to 100’s of products already, ingesting it on purpose AND heating it, becomes dangerous and extremely disconcerting for the effects yet to be seen in all children of gullible uninformed parents, leading to many, many doctor visits. Look at the whole picture. I love your post. 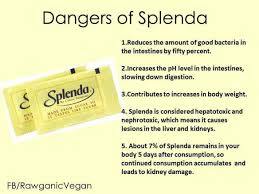 I know splenda is a health risk however I learned some things I didn’t know. Hey thanks so much for the great information and I will be back. So happy to hear you found some new information, Tammy. That is my goal!